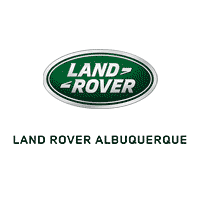 Jaguar Land Rover Albuquerque has a wide selection of exceptional pre-owned vehicles to choose from, including this 2018 Jaguar E-PACE. This Jaguar includes: DRIVE PACKAGE Adaptive Cruise Control Blind Spot Monitor CHROME SIDE WINDOW SURROUND KEYLESS ENTRY Keyless Start Power Door Locks Keyless Entry 10-WAY HEATED FRONT SEATS Heated Front Seat(s) WHEELS: 19 10 SPOKE Tires - Front All-Season Aluminum Wheels Tires - Rear All-Season SIRIUSXM SATELLITE RADIO HD Radio Satellite Radio YULONG WHITE METALLIC COLD CLIMATE PACKAGE Heated Steering Wheel Leather Steering Wheel *Note - For third party subscriptions or services, please contact the dealer for more information. * Drive home in your new pre-owned vehicle with the knowledge you're fully backed by the CARFAX Buyback Guarantee. This is a Certified Pre-owned vehicle, so you can feel rest assured that it has been meticulously inspected from top to bottom. The Jaguar E-PACE P250 S AWD offers a fair amount of utility thanks to its advanced features and unique styling. It's also quite sporty, and injects an ample amount of handling chutzpah into the ridin'-high body of a family-friendly SUV. Quality and prestige abound with this Jaguar E-PACE. Enjoy safety and stability with this all-wheel drive vehicle and drive with confidence in any condition. Let's be honest, not everyone wants to set a course blindly into the dark. For those of us that don't, there are vehicles like this with stellar navigation systems. Check out this gently-used 2018 Jaguar F-PACE 25t Premium we recently got in. This Jaguar includes: COLD CLIMATE PACKAGE Steering Wheel Audio Controls Heated Rear Seat(s) Transmission w/Dual Shift Mode Heated Steering Wheel Leather Steering Wheel Heated Front Seat(s) Bluetooth Connection NARVIK BLACK LATTE/TONAL STITCH, LUXTEC SEAT TRIM Premium Synthetic Seats SD NAVIGATION Navigation System *Note - For third party subscriptions or services, please contact the dealer for more information. * CARFAX BuyBack Guarantee is reassurance that any major issues with this vehicle will show on CARFAX report. This is a Certified Jaguar F-PACE 25t Premium, which means it has been thoroughly inspected against a set of stringent standards. Only vehicles that pass this inspection can be sold as Certified. Gone are the days of SUVs being the size of a tank and handling like one. This Jaguar F-PACE 25t Premium is a perfect example of how SUVs have evolved into vehicles that are as refined as they are rugged. Sophistication & understated luxury comes standard on this Jaguar F-PACE 25t Premium LOANER. Well-known by many, the F-PACE 25t Premium has become a household name in the realm of quality and prestige. Simply put, this all wheel drive vehicle is engineered with higher standards. Enjoy improved steering, superior acceleration, and increased stability and safety while driving this AWD JaguarF-PACE 25t Premium LOANER. Let's be honest, not everyone wants to set a course blindly into the dark. For those of us that don't, there are vehicles like this with stellar navigation systems.